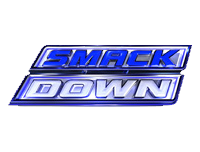 The 30th November 2012 episode of Friday Night SmackDown! starts with a video recapping the match between John Cena and Dolph Ziggler on Monday Night Raw (click here for our Raw report), followed by John Cena’s music hitting and him making his way to the ring to kick of the show. John Cena talks about how he isn’t a regular on SmackDown!, but that he is excited for the Main Event of this episode, as it will involve “Mr. Money In The Bank” Dolph Ziggler. He says that he is especially interested in him due to Ziggler’s own interest in Cena. He says that it has been shown time and time again that Ziggler hides behind the power of Vickie Guerrero, yet comes out every week to claim that he’s the “Show-Off” and can run with the biggest dogs in the WWE. Cena says that when that was put to the test on Raw, Ziggler lost. Cena says that Ziggler will be in a fight later on, as Ziggler will be in a match with Sheamus. Alberto Del Rio’s music hits and he makes his way out to the ring with Ricardo Rodriguez, as he says that John Cena should not be concerned about Dolph Ziggler, but rather about Del Rio, as this is his show. He reminds Cena that he is a former Money In The Bank winner, former Royal Rumble winner, and former 2-time World Heavyweight Champion, plus the fact that he beat Cena the last time they were in the ring together, so Del Rio suggests that Cena leave his ring and show right now. Cena says that he remembers all of those things, but he can’t leave. He says that is because he wanted to stick around to see the Main Event, but he thought he might as well have a match too, which he does – with Del Rio, right now. Cena gets the victory, when he hits Del Rio with a diving leg drop to the back of the had for the 3-count. Afterwards, John Cena celebrates at the top of the ramp, only to be hit from behind with the Money In The Bank briefcase by Dolph Ziggler. After a video recapping the events involving The Shield, Kane, and Daniel Bryan on Raw, an interaction backstage involving Kane, Daniel Bryan, and Kofi Kingston, and an interaction backstage involving Booker T and John Cena, The Great Khali (accompanied by Hornswoggle) takes on David Otunga. The match sees Khali get the victory, when he hits Otunga with a chop to the head for the 3-count. Next, Wade Barrett and “Prime Time Players” Darren Young and Titus O’Neil are pitted against Kofi Kingston and “Team Hell No” Kane and Daniel Bryan in a Six-Man Tag Team match which sees Bryan get the victory for his team, when Kane hits Young with a chokeslam, then tags Bryan in to follow it up with a diving headbutt and apply the No Lock, forcing Young to tap out. After Matt Striker interviews Sheamus backstage about his match with Dolph Ziggler later on, and a segment where a member of the audience fails in an attempt to become Damien Sandow’s apprentice, Damien Sandow goes against Tyson Kidd in a match which sees Sandow get the victory, when he counters Kidd’s springboard elbow drop and follows it up with the Terminoose for the 3-count. After Matt Striker interviews Dolph Ziggler about his match with Sheamus later on, “The Usos” Jimmy and Jey Uso take on “3MB” Heath Slater and Jinder Mahal (accompanied by fellow “3MB” member Drew McIntyre) in a Tag Team match which sees Mahal get the victory for his team, when he hits Jey with a full-nelson slam for the 3-count. After a video recapping the events involving Sheamus and The Big Show on Raw, and a video recapping Dolph Ziggler’s attack on John Cena earlier in the show with the Money In The Bank briefcase, Dolph Ziggler is pitted against Sheamus in a match which sees Sheamus get the victory as a result of a disqualification, when The Big Show appears and starts to attack Sheamus. Afterwards, Show continues his attack on Sheamus and Ziggler joins in, until John Cena hits the ring to even up the odds. Cena and Sheamus clear the ring of Show and Ziggler, and stand tall in the ring as SmackDown! goes off the air.